One major problem of state-of-the-art Cross Language Question Answering systems is the translation of user questions. 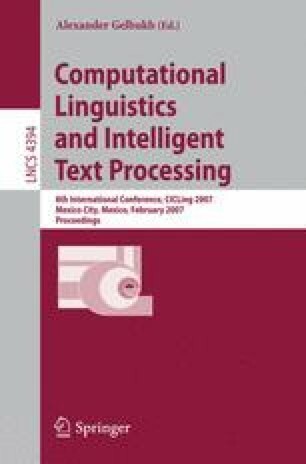 This paper proposes combining the potential of multiple translation machines in order to improve the final answering precision. In particular, it presents three different methods for this purpose. The first one focuses on selecting the most fluent translation from a given set; the second one combines the passages recovered by several question translations; finally, the third one constructs a new question reformulation by merging word sequences from different translations. Experimental results demonstrated that the proposed approaches allow reducing the error rates in relation to a monolingual question answering exercise.